Just hours before the Vancouver Olympics opened in 2010, a young luge athlete from Georgia, Nodar Kumaritashvili, was killed when he crashed in training. 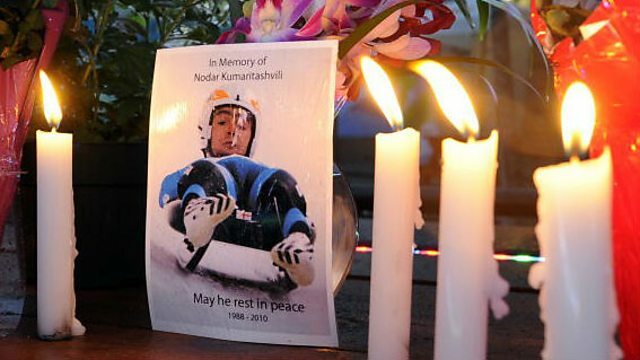 Just hours before the Vancouver Olympics opened in 2010, a young luge athlete from Georgia, Nodar Kumaritashvili, was killed when he crashed in training. Many critics said the sliding track was too fast and too difficult. Modifications to the track were made to make it safer and the competition went ahead, but the episode cast a shadow over the games and shocked the luging community. Rebecca Kesby spoke to Nodar's father, Davit Kumaritashvili.